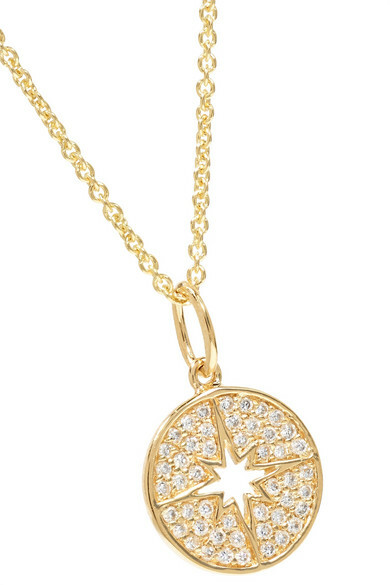 To celebrate Sydney Evan's 15th anniversary, founder Rosanne Karmes redesigned a number of the brand's most iconic motifs, including the starburst - it's punched out on the pendant of this necklace. This dainty design is made from 14-karat gold and dusted with pavé diamonds. Complete a set with the coordinating earrings. 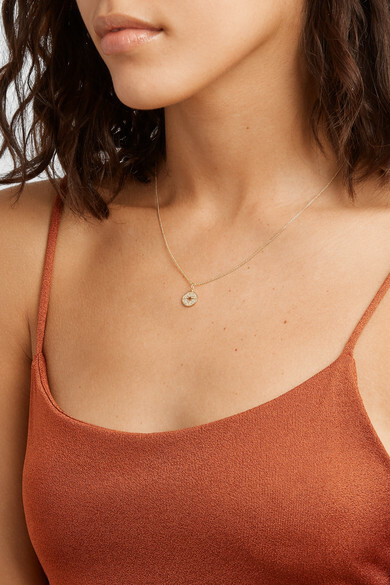 Shown here with: Cult Gaia Dress, Sydney Evan Earrings, Sydney Evan Ring, Sydney Evan Necklace, Sydney Evan Ring, Sydney Evan Necklace, Sydney Evan Bracelet, Sydney Evan Necklaces, Sydney Evan Rings.